Every year since 2009 I’ve cycled between Albany and Perth, a distance of over 500 kilometres. 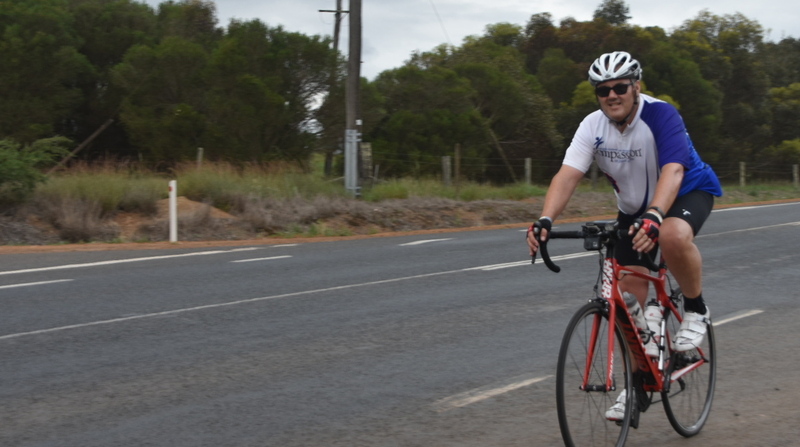 Last week I was out there again with around 30 other cyclists, supported by a wonderful support crew, riding from Albany to Perth over six days. We arrived home on Saturday afternoon after some tough days on the bike. We were battered by strong head and side winds for several days. Despite the conditions, the ride was a great success. As well as having an amazing time with an incredible group of people, we were raising funds for some children who are living in extreme poverty through Compassion Australia. This year we raised over $50 000 for safe food production in some Compassion centres in Bangladesh. The main objective of this critical intervention is to provide each of the five child development centres with a well-built kitchen, dining and food preparation and storage facilities, enabling more than 1000 children and adult beneficiaries access to nutritious, well prepared meals to be enjoyed in a safe and clean environment. Your support could also help to reduce the incidence of hygiene-related diseases and improve health and wellbeing among the children and families of five communities in Bangladesh. Now begins the preparations for Ride for Compassion Coast to Coast. Next year we’ll be riding around 4300 kilometres across Australia. You can support my efforts for next year by visiting my fundraising page. Below are short videos of most days of the ride. Each video only runs for a minute. The only one missing is our day from Wagin to Pingelly. Unfortunately, I lost the video I recorded for that day. If you’d like more details about Ride for Compassion, just drop me a message or visit the Ride for Compassion website.